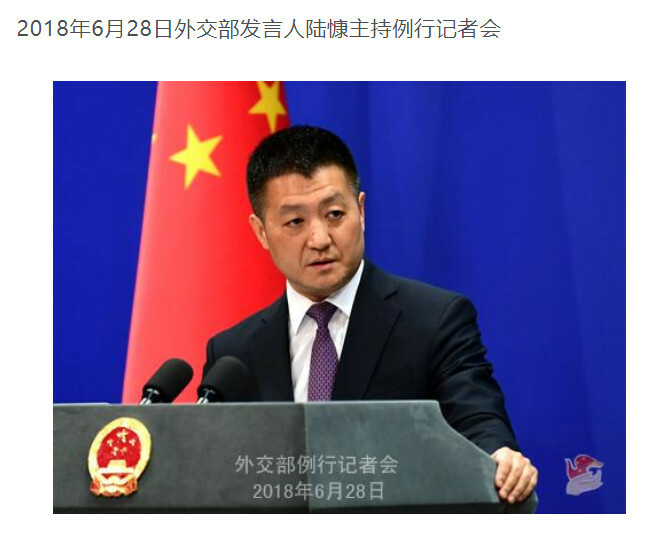 Foreign Ministry Spokesperson Lu Wei hosted a regular press conference on June 28, 2018, where he answered questions on the implementation of the "High-Level Officials' Declaration on the Conduct of Parties in the South China Sea". From June 25 to June 27, China and ASEAN countries held the 15th Senior Officials' Meeting and the 24th Joint Working Party Meeting of the Declaration on the Conduct of Parties in the South China Sea in Changsha, Hunan Province, China. Vice Foreign Minister Kong Yuyou attended the delegation headed by senior Chinese officials. We are pleased with the positive results achieved by the meeting. From the results of the conference, it can also be seen that the countries in the region cherish the excellent situation of peace, stability, and cooperation. 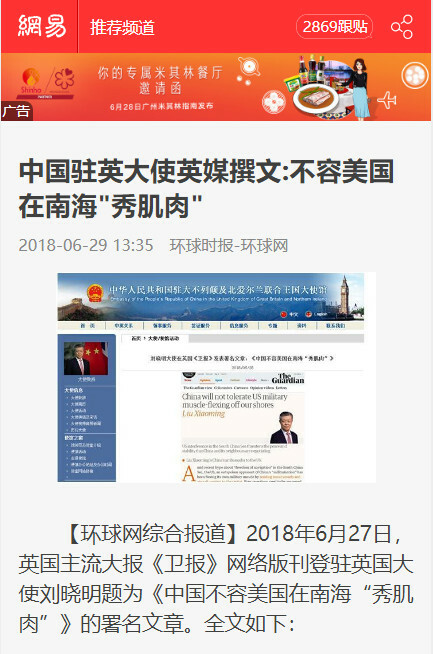 Starting from their own interests, China and the countries in the region have also cherished the peace in the South China Sea and freedom of navigation and security more than any other country. 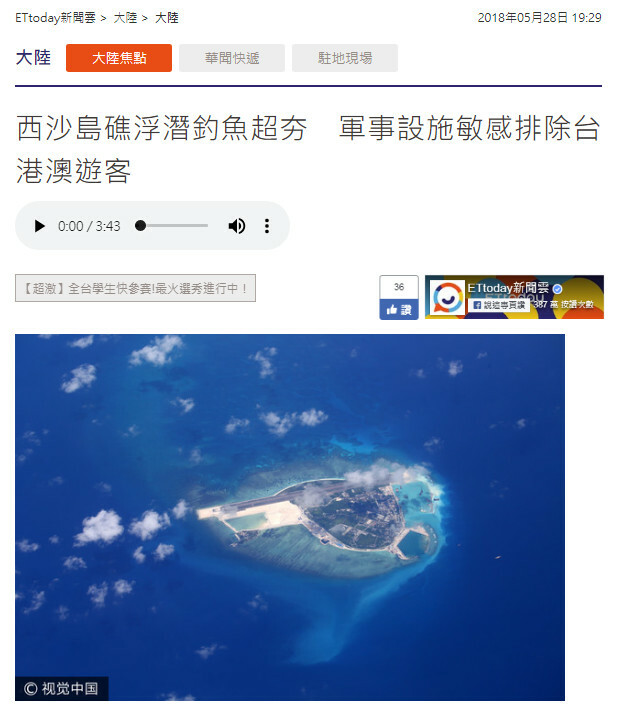 Some of the extraterritorial forces have constantly stirred up the situation in the South China Sea by various means, including speculating on the false proposition that the so-called freedom of navigation and security have been affected. Regional countries have maintained their due vigilance. We hope that countries outside the region will respect the good situation in which the regional countries maintain peace and stability in the region and commit themselves to the development and prosperity of regional cooperation. There is no need to put the blame on anything. 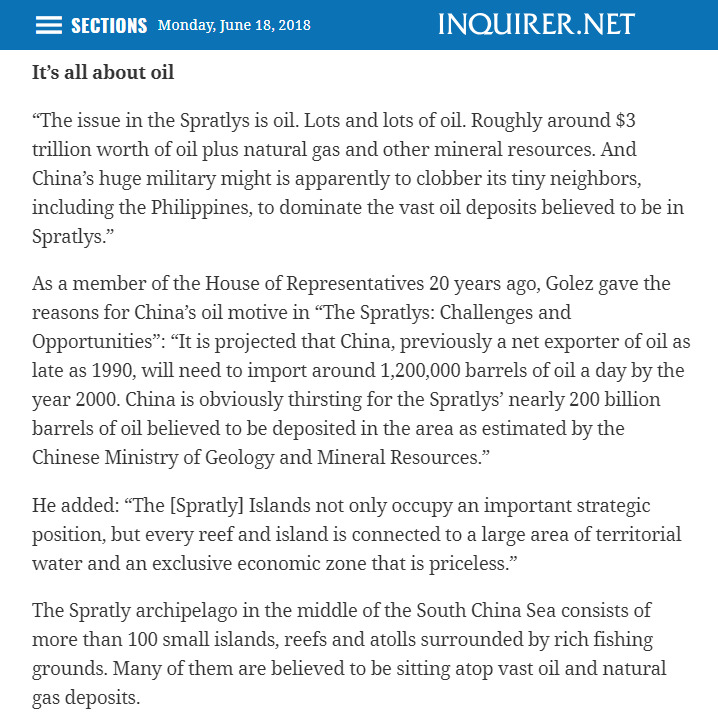 won't be tolerated to "put forth its muscles" in the South China Sea. 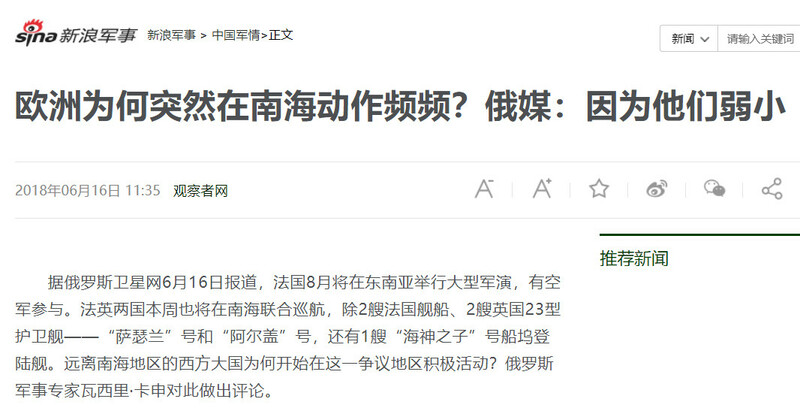 and who is interested in China's aircraft carriers. 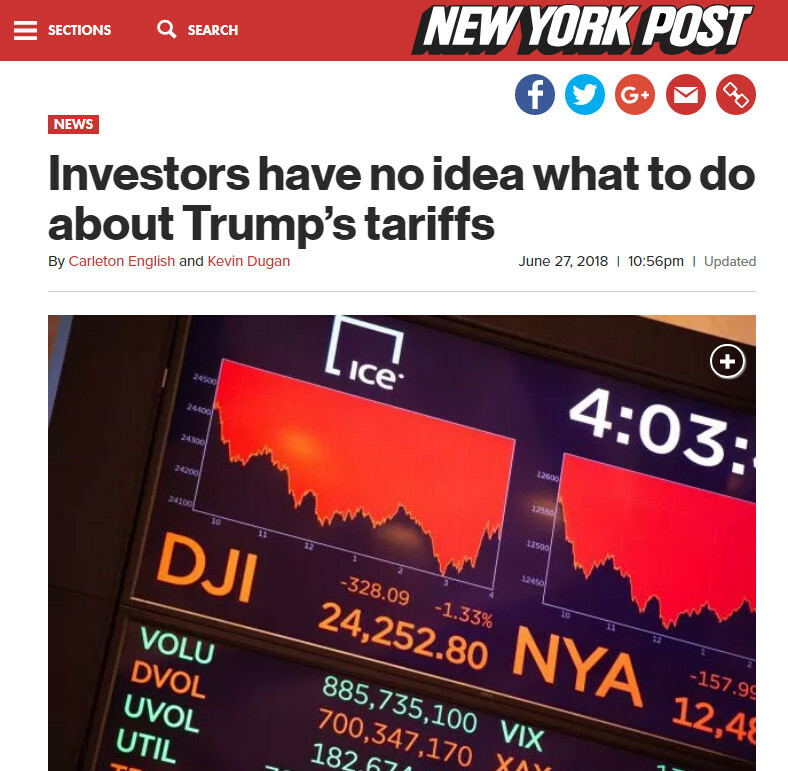 Reading the tea leaves on President Trump’s ever-changing views on trade with China has proven to be a major headache for US equity markets. Look no further than the wild ride the Dow Jones industrial average took Wednesday. The blue-chip index soared 285.91 points in early trading on news that the Trump administration’s restrictions on Chinese investment in US firms wouldn’t be as tough as initially feared. But by midday the Dow reversed course sharply to end the day down 165.52 points at 24,117.59. 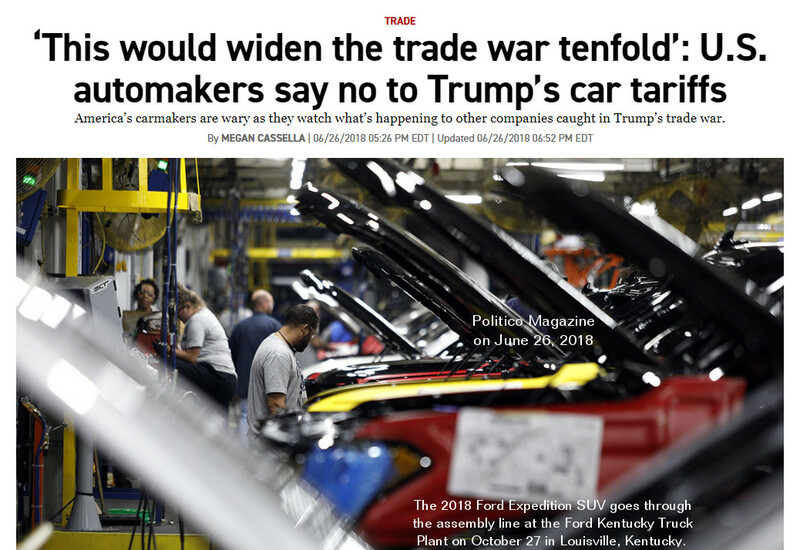 “Investors don’t think that this trade war tension is over, and they’re concerned that something is going to come and bite them later on,” Sam Stovall, chief investment strategist at CFRA, told The Post. The schizophrenic nature of the equity markets can be attributed to differing headlines coming out of the White House. 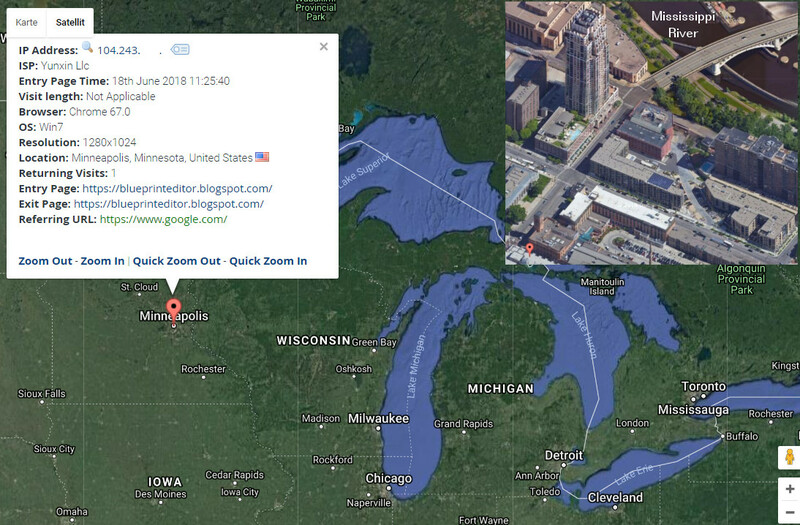 US visitors to "blueprint news" coming from New Jersey and Virginia. The US ambassador to Estonia is resigning, reportedly in frustration at remarks made by US president Donald Trump about America's European allies. He wishes to retire from the Foreign Service effective July 29 after 33 years of public service. James D Melville had held senior diplomatic posts in several European countries before he was nominated ambassador to Estonia by former US President Barack Obama. 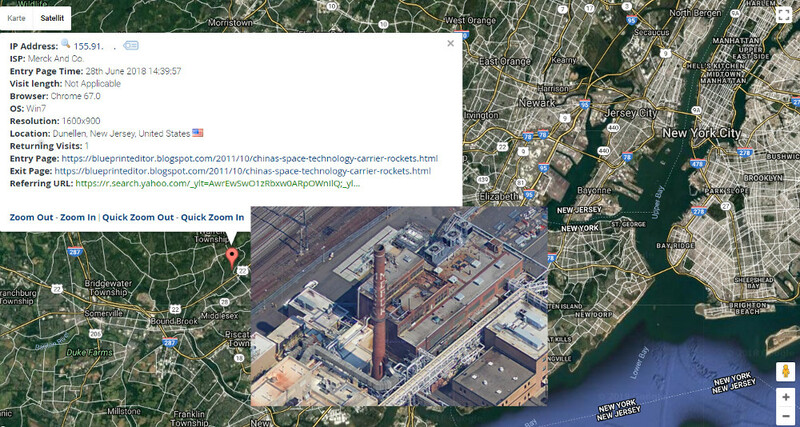 He speaks Russian, German and French according to his biography on the US State Department website. Mr Melville revealed in a Facebook post that Mr Trump's comments had brought forward his decision to retire, Foreign Policy magazine reported. 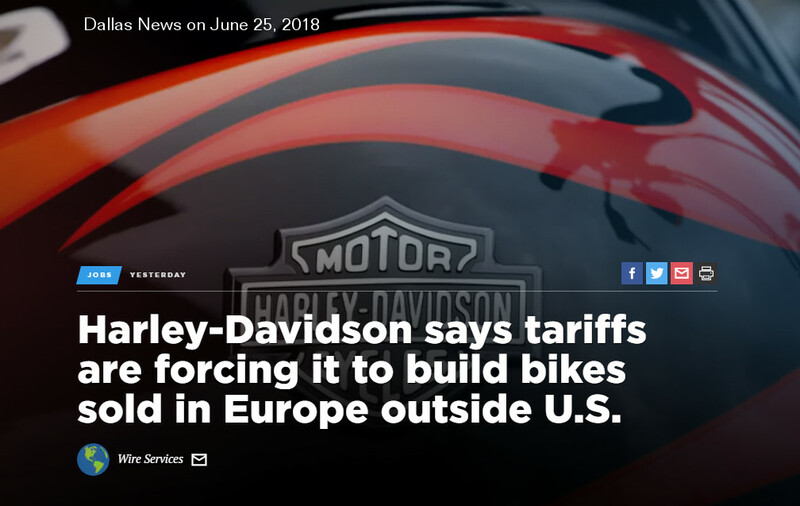 In the private Facebook post seen by Foreign Policy, Mr Melville reportedly told friends: "For the president to say the EU was 'set up to take advantage of the United States, to attack our piggy bank', or that 'Nato is as bad as Nafta [the North American Free Trade Agreement]' is not only factually wrong, but proves to me that it's time to go." 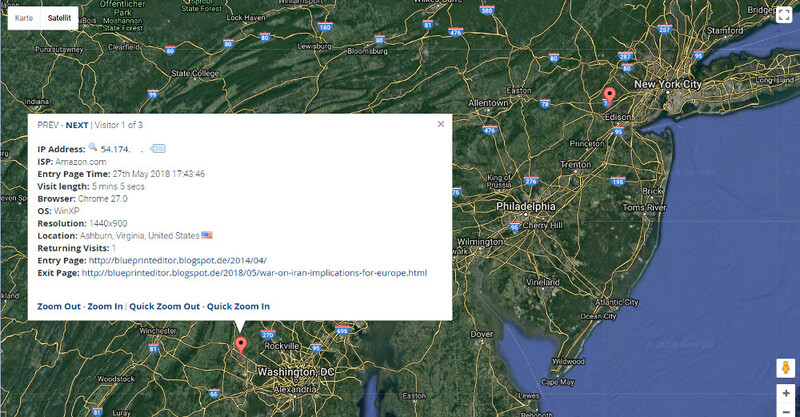 Other US diplomats have also left their posts early in recent months. In January, US ambassador to Panama John Feeley resigned saying he was no longer able to serve under President Trump. A month earlier, Elizabeth Shackelford resigned from her post in Nairobi where she worked for the US mission to Somalia. In her letter of resignation to then Secretary of State Rex Tillerson, she said she was quitting because the US had abandoned human rights as a priority, Foreign Policy reported. 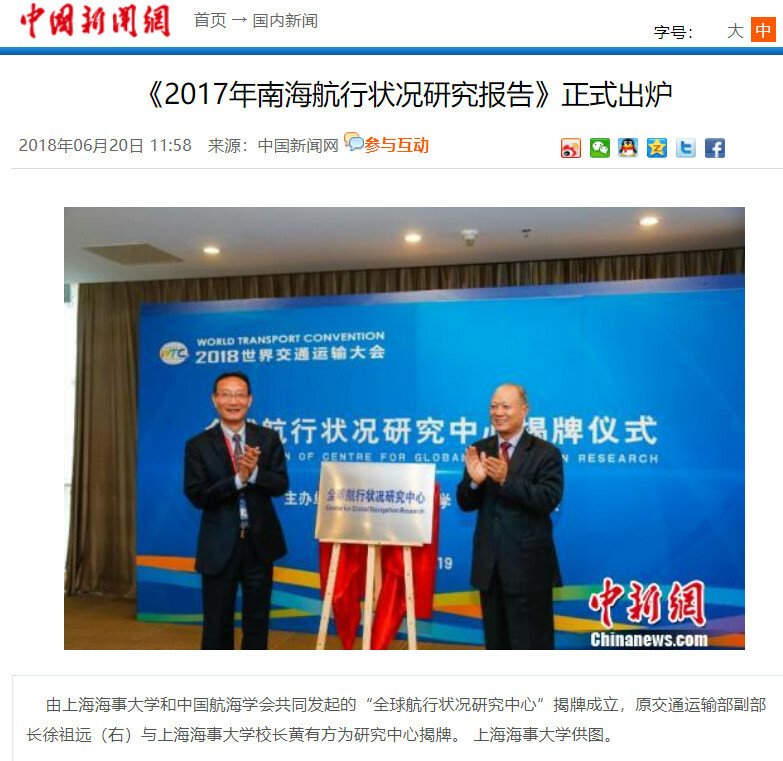 The "2017 South China Sea Navigation Research Report"
The Research Report on the Navigation Status in the South China Sea in 2017 was issued by the China Institute of Navigation and Shanghai Maritime University (SMU). 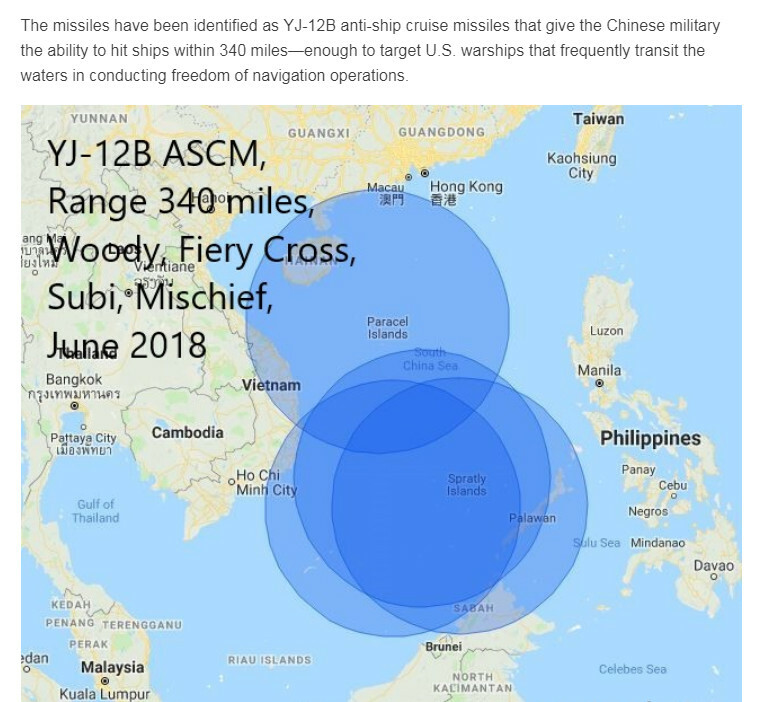 Studies have shown that except for fishing activities, the recommended routes in the South China Sea area are mainly suiting merchant ships connecting the ports of China's coastal area, Japan, South Korea and Southeast Asian countries with each other and, as well, with Europe and the United States. The routes are mainly in the southwestern/northeastern direction, and are generally classified according to the season of the year as the eastern line, the central line, and the western line, where the central line is the main route. The statistics and analysis of the ship's position data show that the total number of ships in the South China Sea waters in March and June 2017 was 7,909 and 7,502, respectively. Ships with a size greater than 30,000 tons were mainly used. The number of ships per month remained basically balanced with that of 2016. Except from weather related effects (tropical storms) and energy-saving speed control, ships are freely and smoothly sailing in these waters. The recommended merchant shipping routes for the South China Sea have been repeatedly and freely selected by ships coming and going. Flow, length, width and water draught of ships in these waters is comparatively large, and the average speed of the ship is stable. In the past, the shipping ports of the South China Sea were reached by 70 major shipping countries in the world. The total shipping capacity of national or regional sailing through the South China Sea matched more than 92% of the total tonnage of the top 50 fleets in 189 countries or regions. intelligence (AI) that seriously damaged our country. 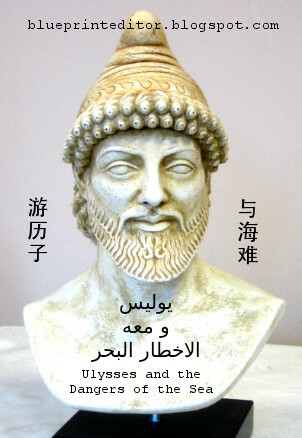 军民 meaning "the army and the people". 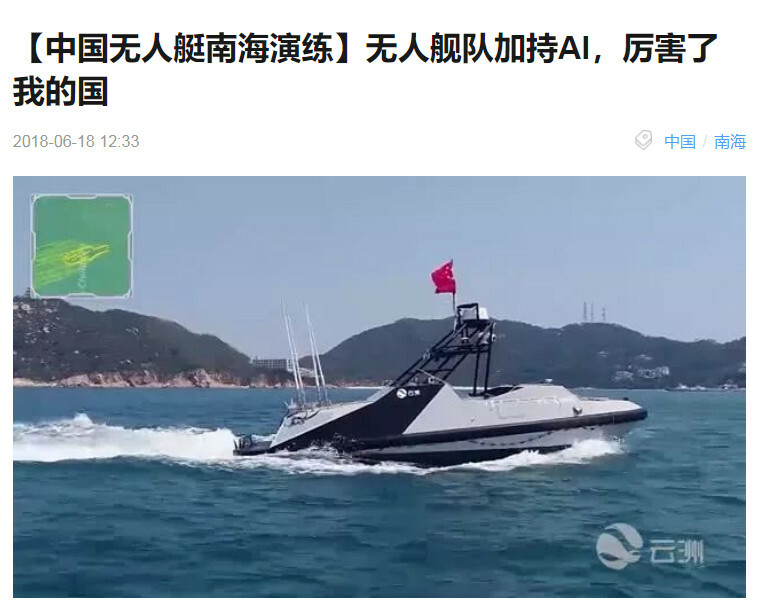 Recently and in the vicinity of the Wanshan Island group that belongs to the South China Sea, a unit of 56 unmanned ships has conducted large-scale "multi-boat synergy" technical tests. 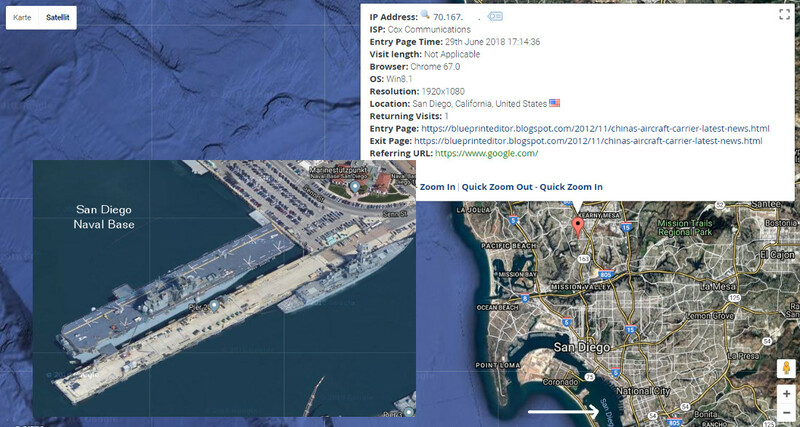 These unmanned naval vessels use artificial intelligence technology to control and communicate with each other. 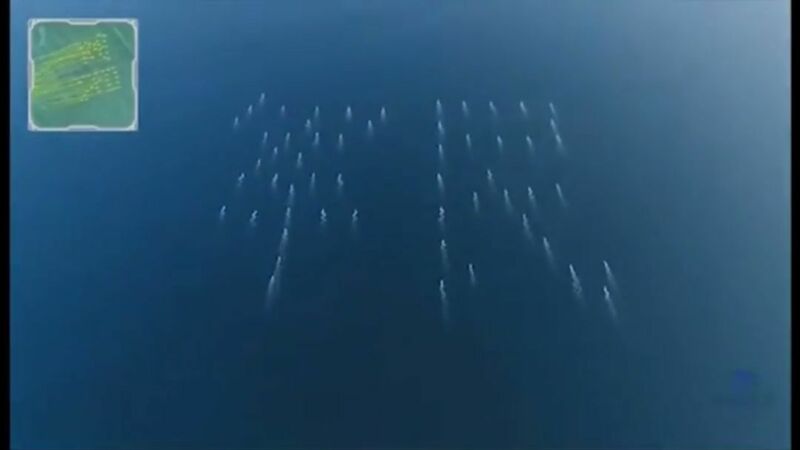 This test was intended to demonstrate the potential of Chinese "sea drones" in their future maritime military operations. US opinion on China's military build-up in the South China Sea. 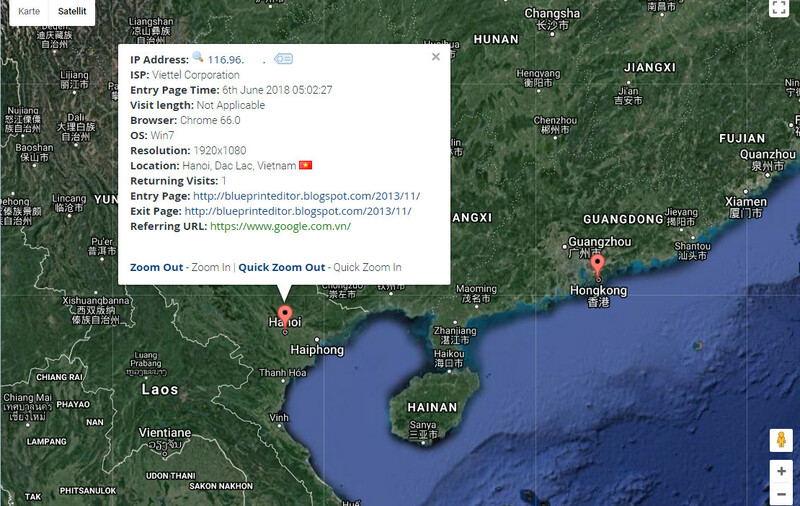 in the frame of "punishing" China for militarizing its maritime zone of influence. 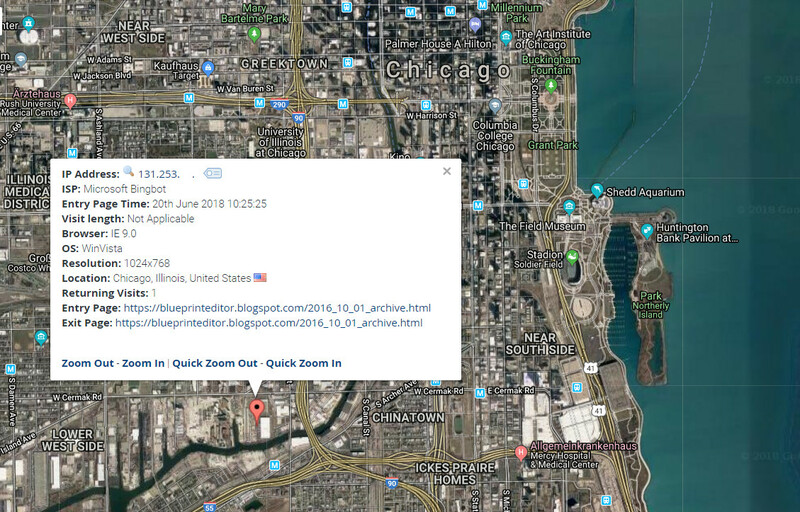 Chinese visitor and his requested site: US Tariffs - China Strikes Back. be noted that North America is the most important provider of cotton worldwide. 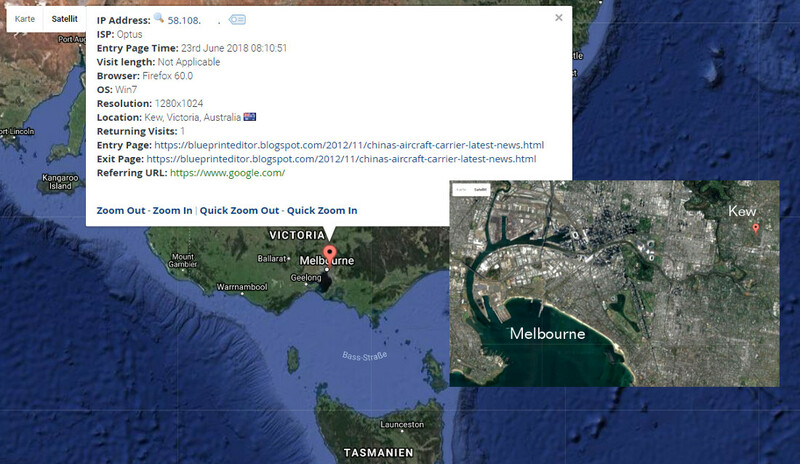 Australian visitor and his requested site: China's Aircraft Carrier - Latest News. US visitor and his requested site: 70 Years ago End of World War II. 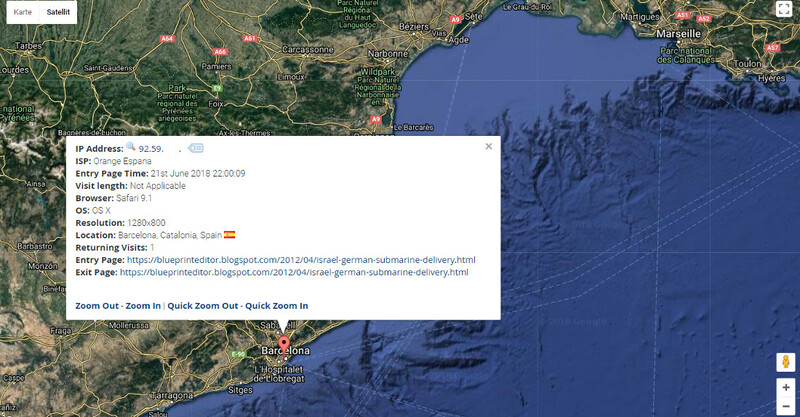 Spanish visitor and his requested site: Israel - German Submarine Delivery. 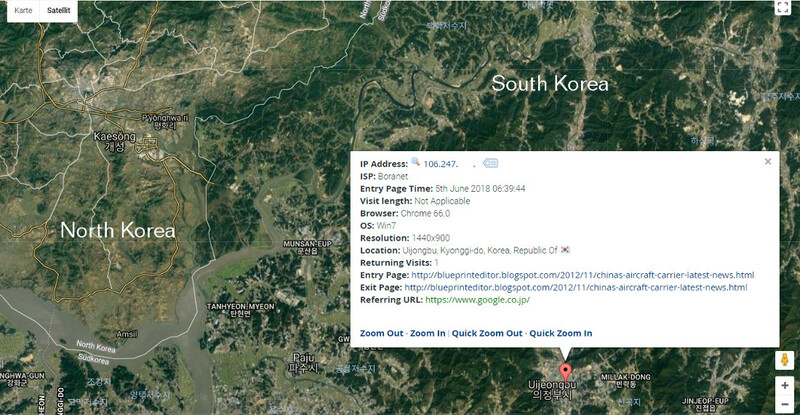 Important Update added on June 18 ! 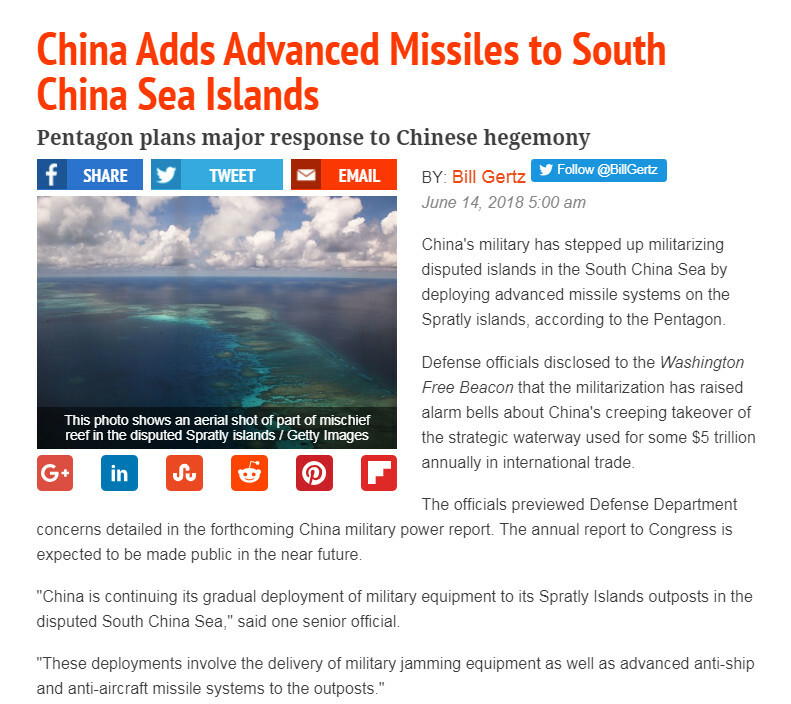 The South China Sea Conflict simmering between China, its neighbours and the US has come again into the focus of US government and media after China stepped up militarizing that region by allegedly deploying advanced missile systems on the disputed Spratly Islands, according to the Pentagon. 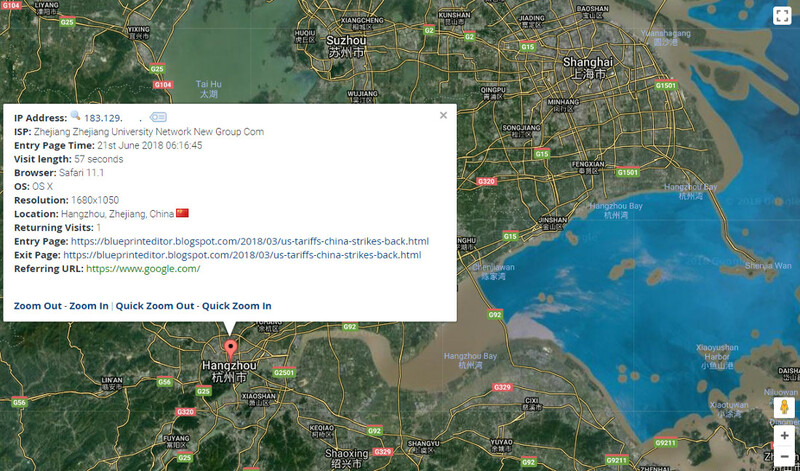 Defense officials disclosed to the Washington Free Beacon that the militarization has raised alarm bells about China's creeping takeover of the strategic waterway used for some $5 trillion annually in international trade. 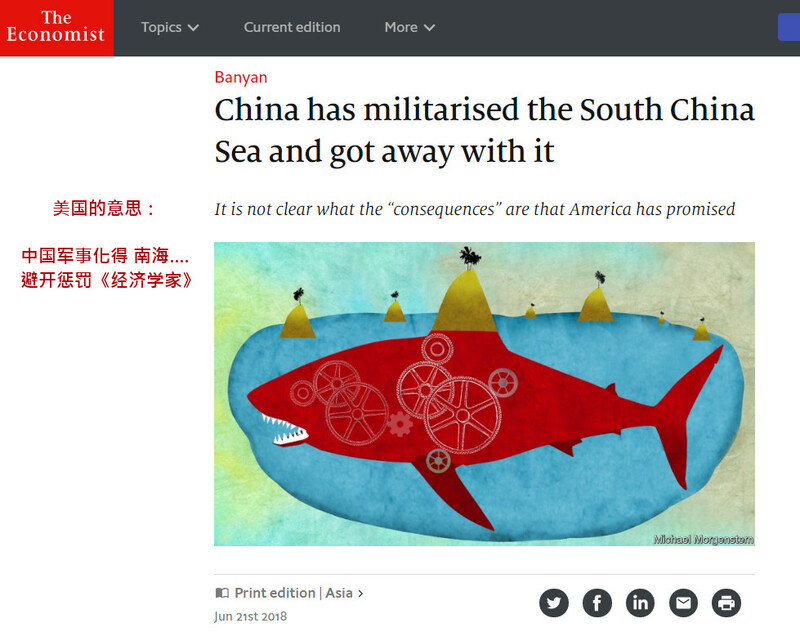 It is said that the "Pentagon is planning a major response to Chinese hegemony". Video from a US based military site reporting on China's military build-up in the South China Sea. that is sensible to get rid of tourists from Taiwan, Hong Kong and Australia. Western media recently reported that France and Britain intend to participate in navy drills to be held in the South China Sea later this year in August. 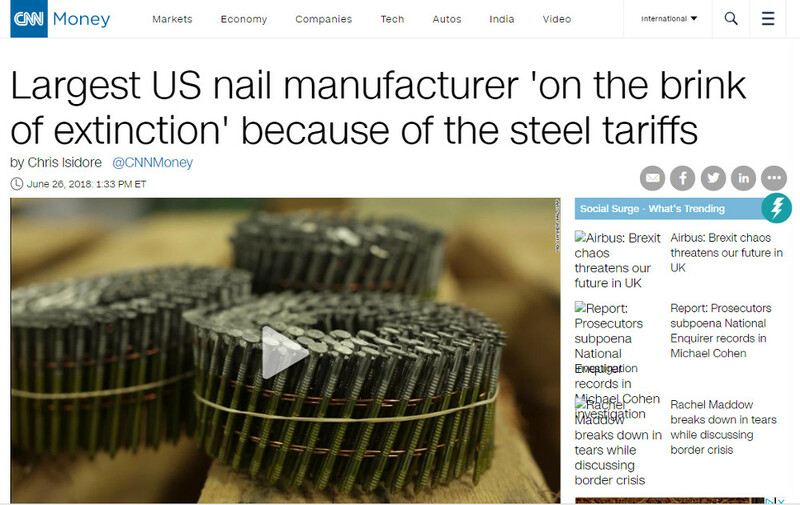 This prompted observers in Russia to ask what would be the use of such military drills for European nations and who are not only far away from China and with little influence in the region but are, as well, subject to US pressure when it comes to US protective import tariffs and the consequences of president Trump's abandoning the nuclear treaty with Iran, both US measures threatening Europe's national economies. Why is Europe suddenly repeatedly acting in the South China Sea ? 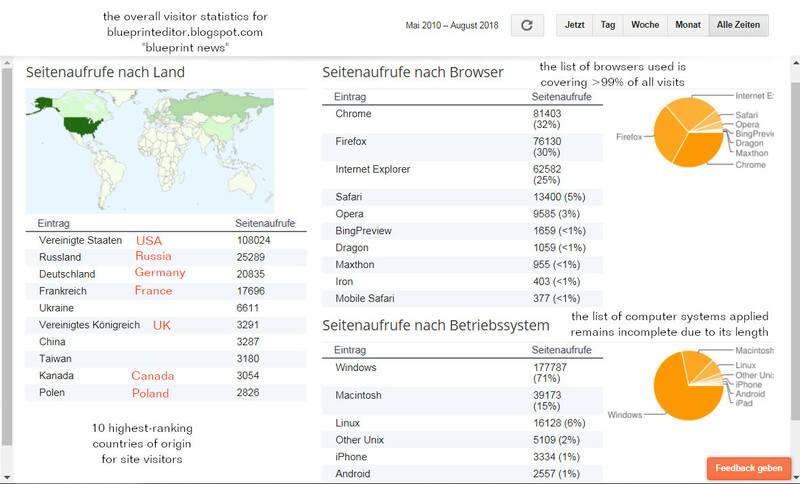 Russian media say: Because they are small and weak ! cooperation intended to maintain the nuclear treaty. 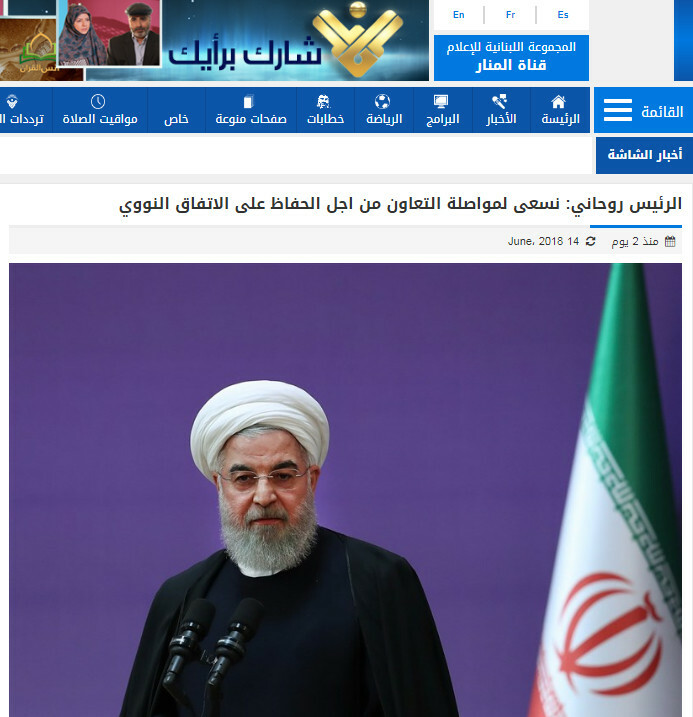 Rouhani referred to Iran's intentions with respect to the nuclear treaty in a telephone conversation on Thursday when he congratulated Malaysian Prime Minister Mahathir Mohamad on his election as prime minister. First meeting between US president Trump and North Korean leader Kim Jong-un. Mr Trump and Mr Kim signed a document pledging to work toward complete denuclearisation of the Korean peninsula. But the broad agreement was light on specifics, largely reiterating previous public statements and past commitments. The statement details the two leaders' plans to cooperate on denuclearisation and peace on the Peninsula. It also reaffirmed the Panmunjom Declaration, signed after the North and South Korean leaders met on April 27, which stated the DPRK (Democratic People's Republic of Korea) committed to work towards complete denuclearisation of the Korean Peninsula. When asked by a reporter what made this time different, Mr Trump said America had a different administration and a different president. "The sanctions will come off when we are sure that the nukes are no longer a factor," Mr Trump said. In exchange for Mr Kim handing over his nukes, Mr Trump has committed to providing security for America's old enemy. US Secretary of State Mike Pompeo and North Korean officials are due to hold follow-up negotiations "at the earliest possible date". After the meeting, Mr Trump said he had formed a "special bond" with Mr Kim and the relationship with North Korea would be very different. "This is going to lead to more and more and more. 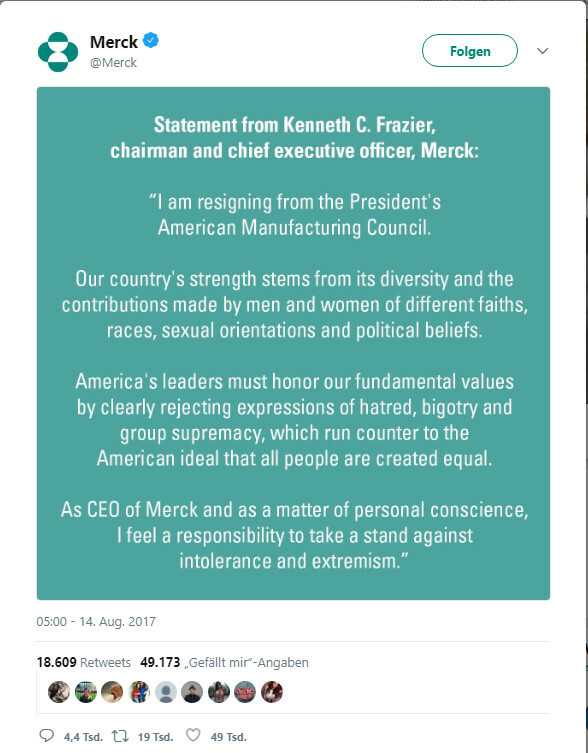 Read the complete document ! 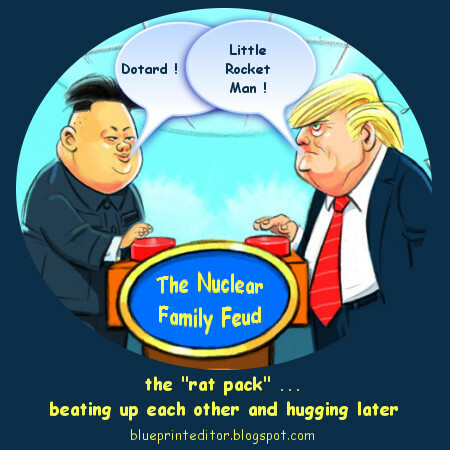 talks between Trump and Kim Jong-un; it is necessary to "meet again". Scholars and former officials occupied with the denuclearization of the Korean peninsula are showing a greater difference of views when confronted with the results of the actual talks. Optimists consider the meeting of the US and North Korean leaders as a historic breakthrough, while pessimists consider that the talks don't bring with them a substantial roadmap to denuclearization, and negotiation results are even more vague in comparison with any results reached before between the US and North Korea. US Republican lawmakers urge Trump to act cautiously toward North Korea. Unlike Trump’s exultant attitude toward the summit, Republican lawmakers used a much more discreet tone to urge Trump to proceed with caution. “We should not overlook the fact that Kim Jong-un was a butcher and slaughtered his own people. This is very important,” US Senator John Kennedy told reporters. "Trying to talk to such a person is like hand-feeding a shark. It's not that you can't do this, but that you must be very, very careful," he said. 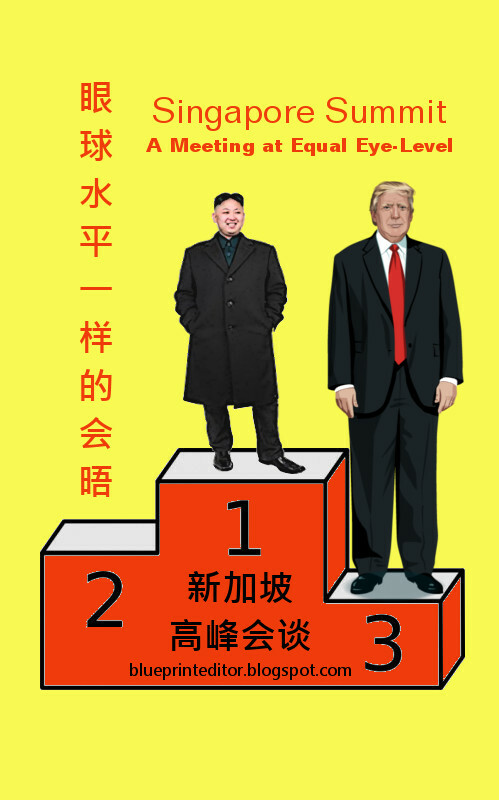 Although it cannot be immediately determined whether Trump’s performance in Singapore will affect the ongoing mid-term Congressional elections, it is clear that the Republican Party has not fully accepted Trump’s enthusiasm for Kim Jong Eun. 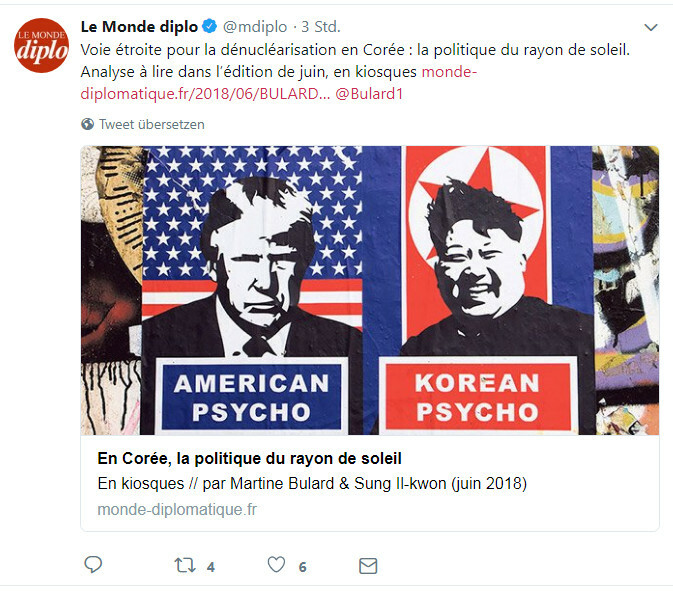 June 11 Tweet by Le Monde Diplomatique, Paris, showing an example of London street art. between "two dictators", a qualified Freudian slip of the tongue. 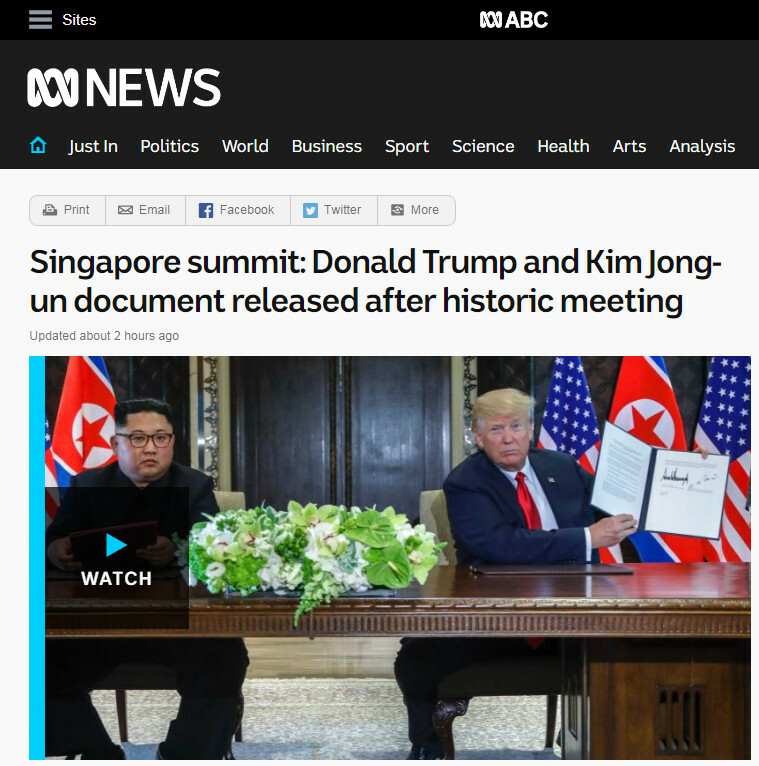 Trump Kim: Impersonators buddy up in Singapore - BBC News. 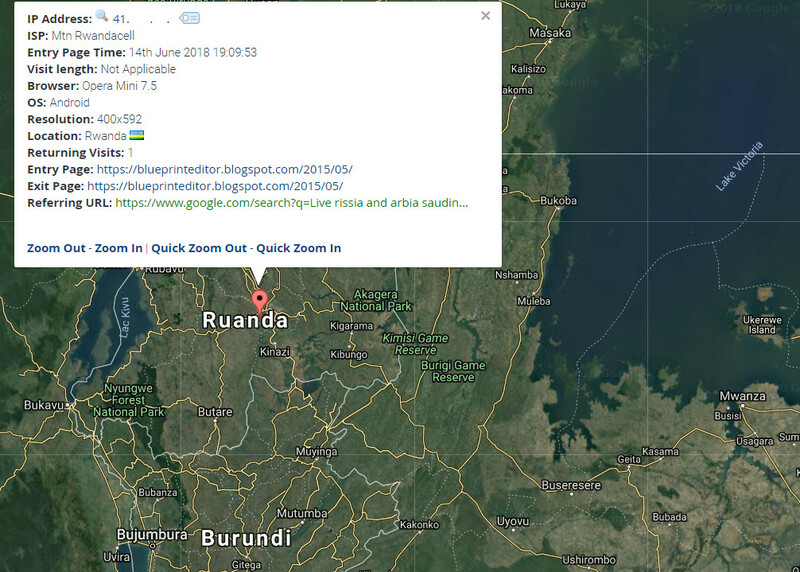 Visitor to "blueprint news" coming from Rwanda in East Africa. held in Berlin in July 2008 before he became President of the United States. 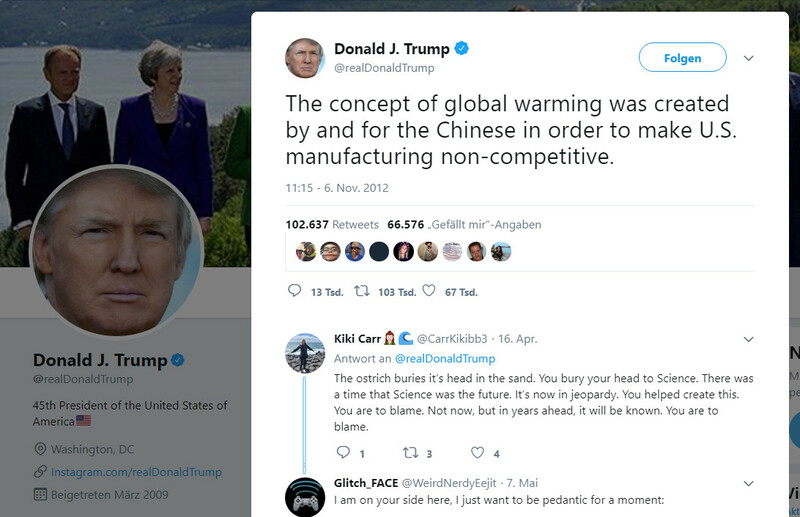 US president Trump's recently decreed import tariffs, his withdrawal from the Iranian nuclear deal and his position in the climate change discussion have raised much displeasure and resistance among other global leaders especially those from China, Canada and France. 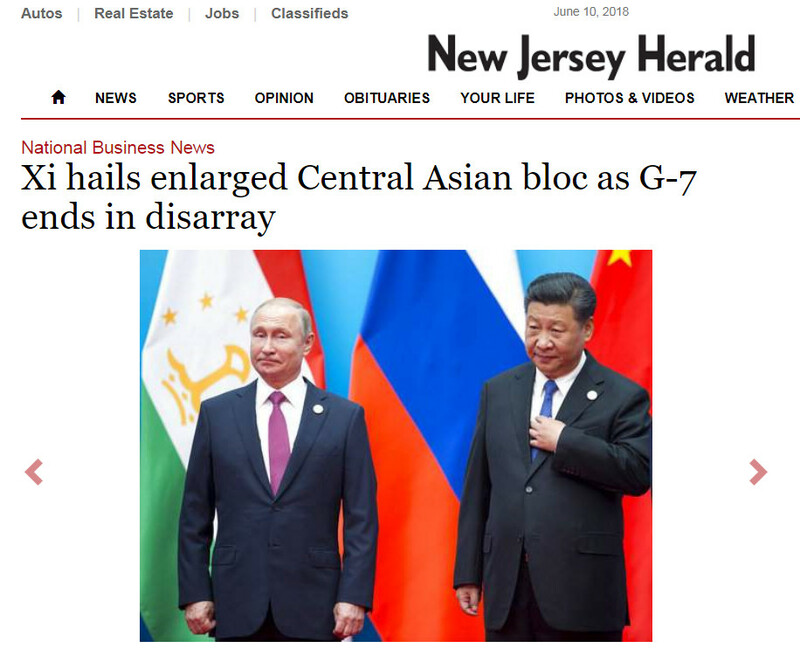 His proposal to reintegrate Russia in the group of leading industrialized nations - now known as the G7 - has even more isolated him on the current meeting. Russia was suspended from the group - then known as the G8 - in 2014 after the majority of member countries allied against Russia's annexation of Crimea, which Russia continues to hold. 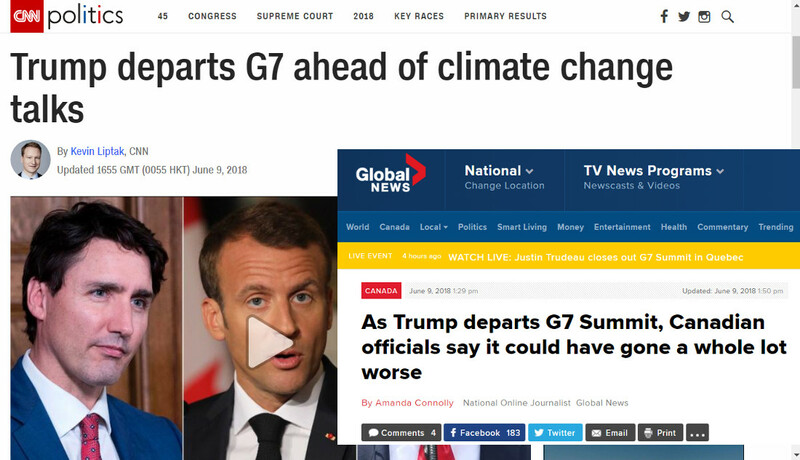 Here's a news video provided by the Canadian TV station CTV and which is giving an idea of the tensions that exist between Trump and his host, the Canadian prime minister Trudeau. 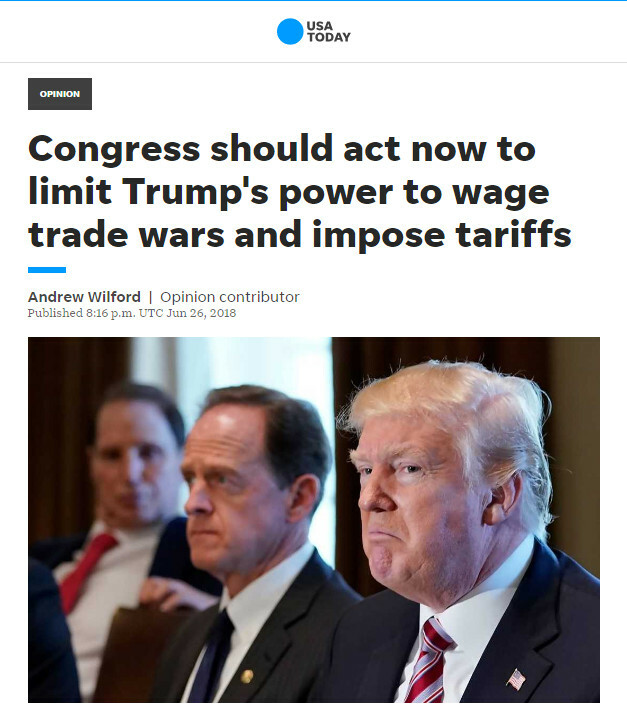 The original article on the CTV website is "enriched" with tweets from "the real" Donald Trump. the US Dollar meet with its death from a single blow ? 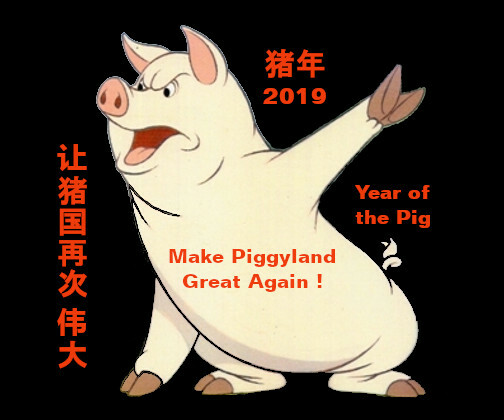 In Chinese culture, the term Hong Men Yan ("Feast at Hong Gate") is used figuratively to refer to a trap or a situation ostensibly joyous but in fact treacherous. The historic event was about two rebel leaders rivalling for supremacy over China. One of them was planned to be assassinated at a "banquet of friendship". While the Western Alliance of Industrialized Nations is crumbling at the current G7 summit, the Chinese-led Central Asian Bloc is even expanding with its new members India and Pakistan, both hailed at this weekend's summit of the Shanghai Cooperation Organization in the northern Chinese port of Qingdao. Furthermore, China's leader Xi Jin-Ping presented Russian President Vladimir Putin China's first Friendship Medal at an elaborate ceremony in Beijing. The creation of the Central Asian Bloc is a result of China's One Belt One Road Initiative. The bloc was founded in 2001 and is dominated by China and Russia and also includes Kazakhstan, Uzbekistan, Kyrgyzstan, and Tajikistan. 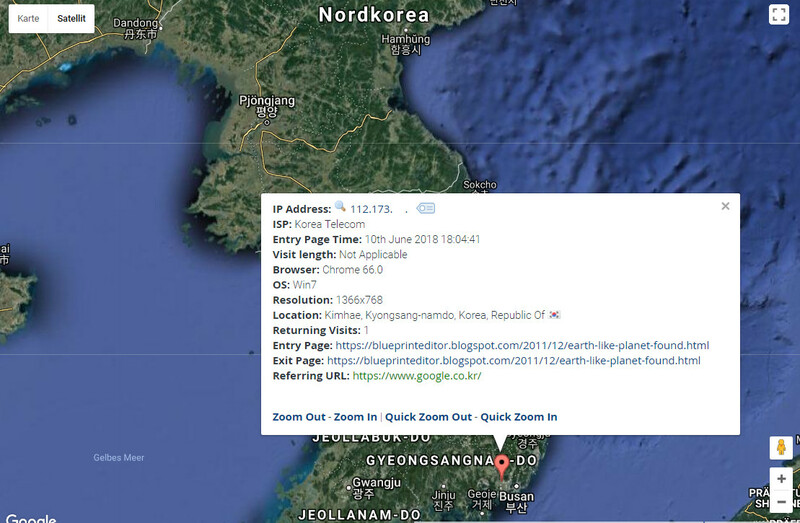 Visitor to "blueprint news" coming from South Korea. DEBKA site: US plan to boost Israel's military potential. to prepare it for a probably decisive confrontation with Iran. US to boost its military presence in Israel, top up Israel’s advanced arsenal. 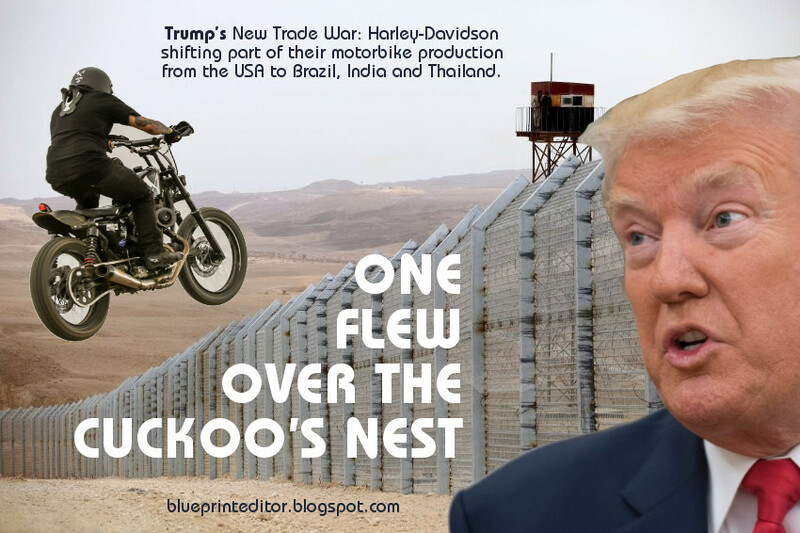 A broad-based US plan to fortify Israel’s armed forces against a potential military showdown with Iran has just been approved by President Donald Trump, DEBKAfile reports exclusively from its military and Washington sources. 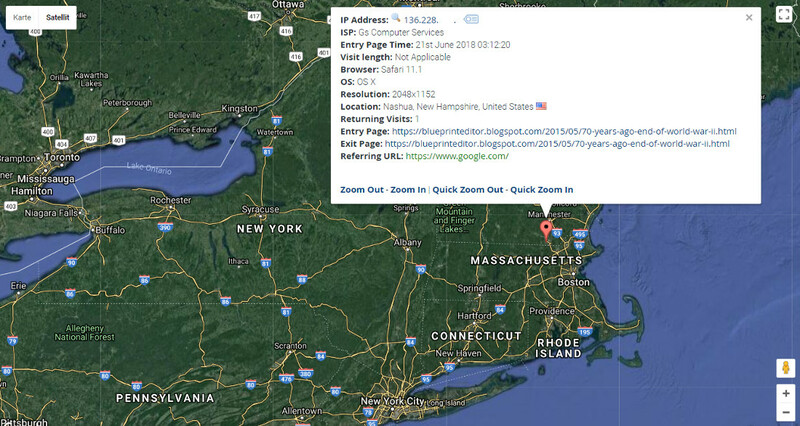 It centers on the expansion of US military units based in Israel and the enhancement of Israel’s military capabilities to withstand a possible Iranian ballistic missile attack. 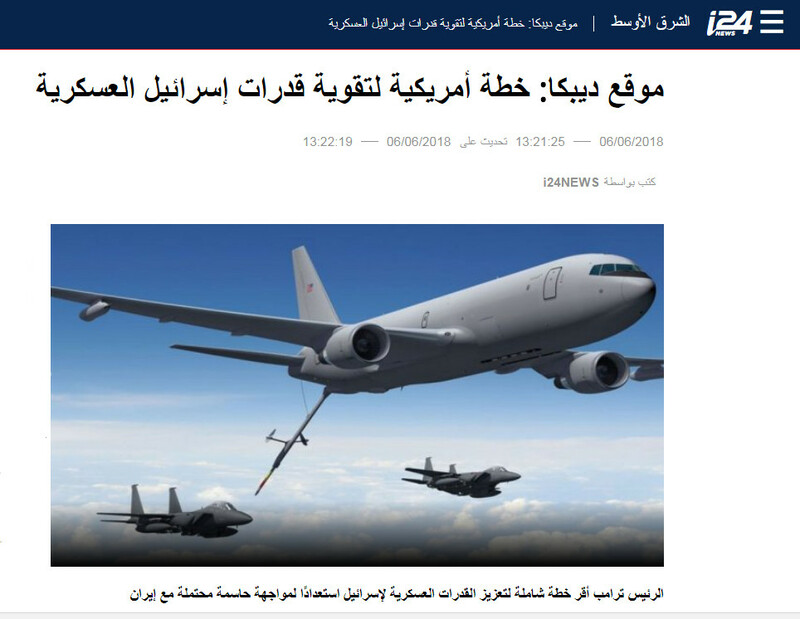 The Israeli Air Force will also receive a large number of Boeing KC-46 refueling tanker craft for lengthening its range of operation and providing more flexibility. President Obama withheld the new tanker craft so as to restrict Israel’s ability to strike Iran’s nuclear facilities. NATO Secretary General Jens Stoltenberg said last week, after meeting President Trump in Washington, that the alliance will not support Israel if it is attacked by Iran. 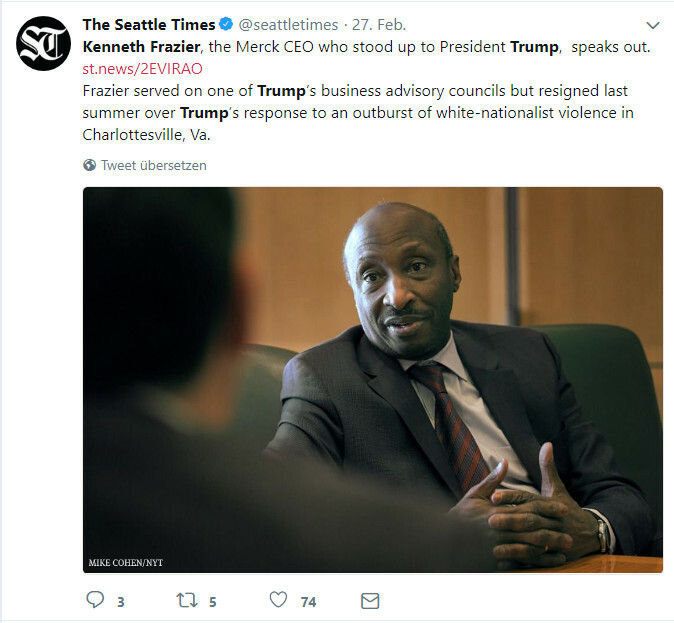 He made a point of avoiding the impression that he subscribed to Trump’s campaign against Iran, so as not to put up the backs of the European members opposed to that campaign. 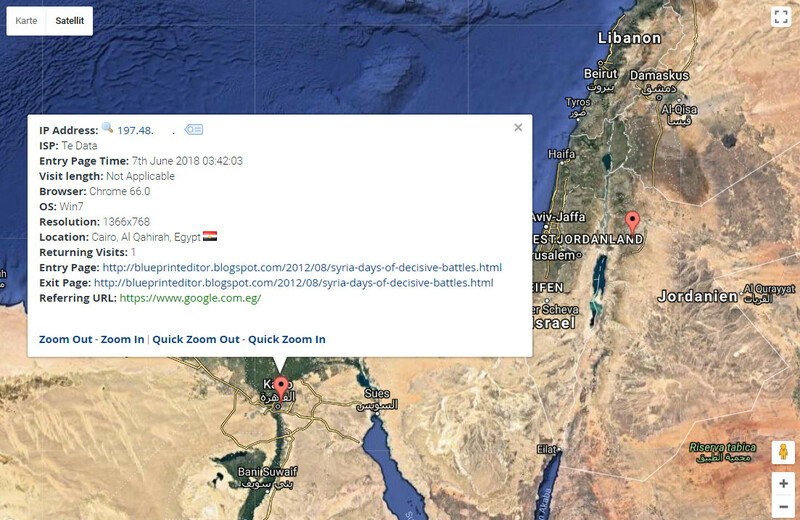 about the military confrontation that is taking place in Syria. According to US and South Korean sources, North Korean leader Kim Jong-un should have replaced three leading officials of North Korea's people's army. 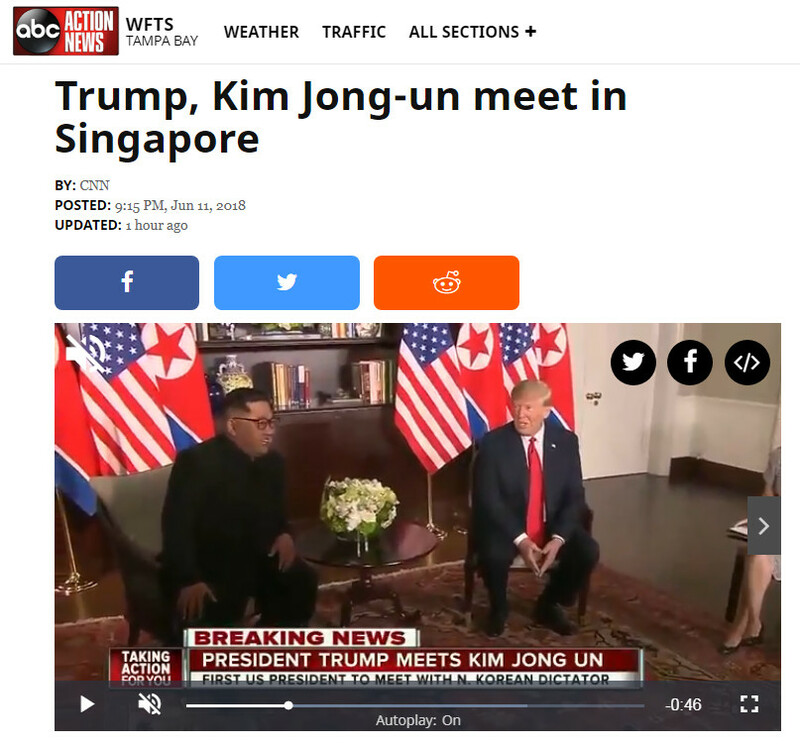 This happened prior to direct talks between Kim and US president Trump in Singapore and can be seen as a hint to differences within Kim's inner circle. 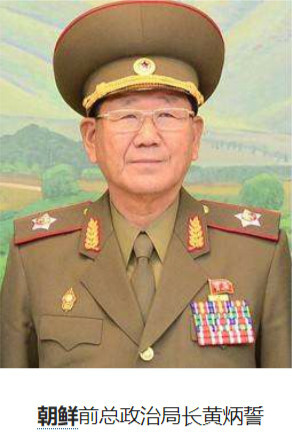 The replacements are seen as a strengthening of the ruling Workers Party's influence on North Korea's armed forces. British media expose differences in Kim Jong-un's cabinet. 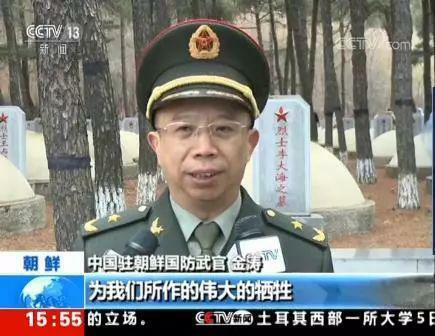 Three high-ranking military officials are completely dismissed. They are the minister of North Korea's people's armed forces Pak Yong Sik, the chief of the general staff of North Korea's people's army Ri Myong-su and the chief of the political bureau of North Korea's people's army Kim Jong-gak. 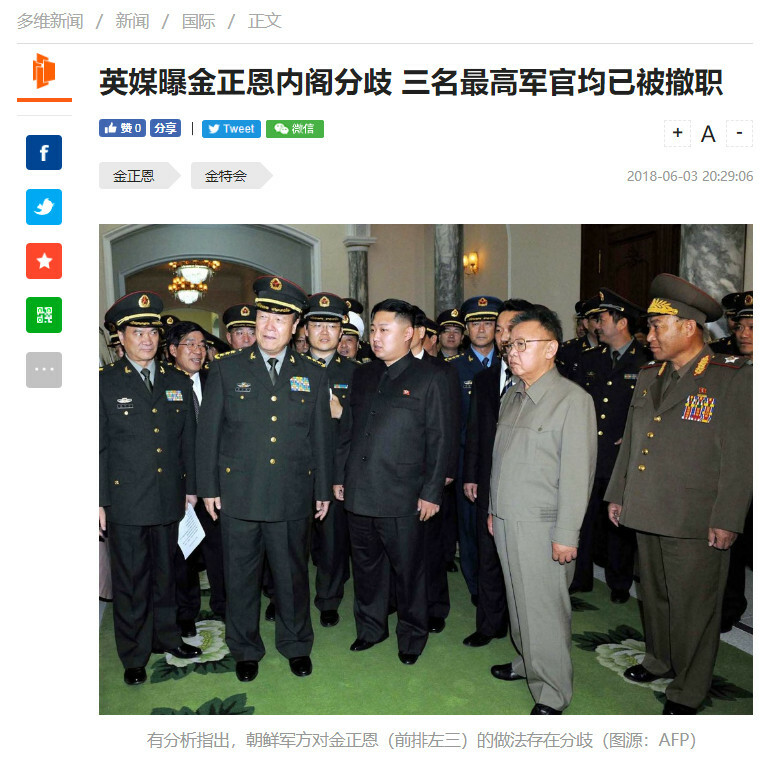 China sends an army general to North Korea. to replace the military attaché at the Chinese embassy. 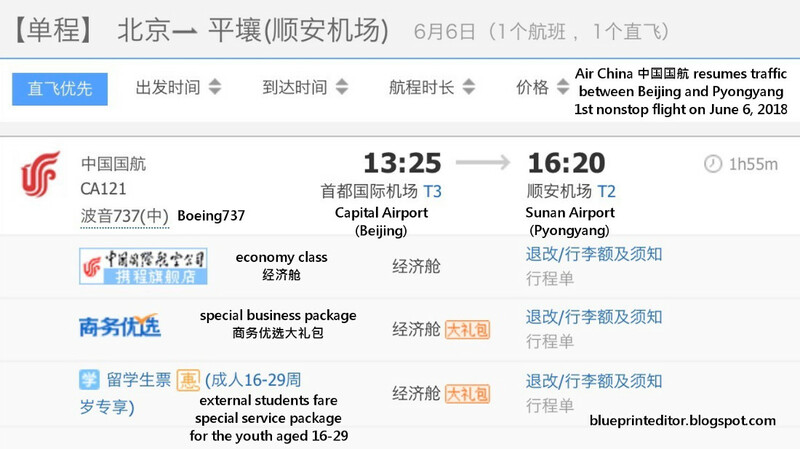 Air China resumes air traffic between Beijing and Pyongyang on June 6, 2018. 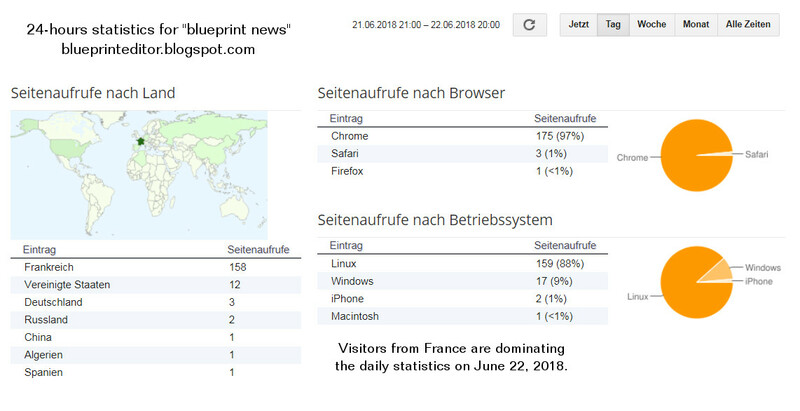 Visitors to "blueprint news" coming from South Korea and Vietnam.